The lightest and most advanced gas and liquid fuel camp stoves on the market today weigh around two pounds with fuel. The TrailStove by Stratus weighs less than one pound at the same time as it is the most reliable stove of them all. It runs on wood, nature's free and everlasting fuel! 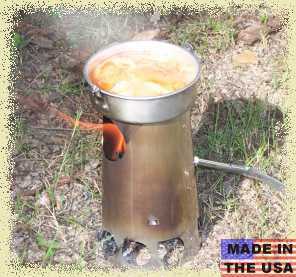 With this camp stove you will never have to carry fuel with you again when you go backpacking. This wood powered stove generates enough power for your back country cooking while being small and light enough to bring with you anywhere. 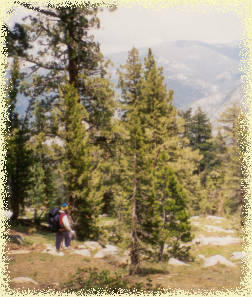 At 14.8 oz (419 grams) it weighs less than any other backpacking stove with fuel out there. 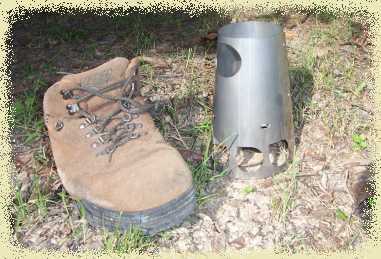 The TrailStove is about the size of a hiking shoe. This super rugged yet very light stove will always be there for you. An absolute necessity for the smart back packer. It's time to throw away that heavy gas or liquid fuel stove you've been carrying around.